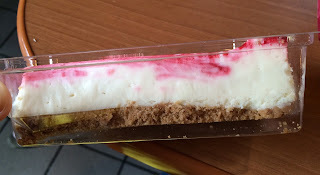 Besides the mysterious and mediocre Chicken Junior, I got a "Strawberry Swirl Cheesecake (Gâteau au Fromage Tourbillon de Fraises)" at KFC. It smelled and looked quite good, and the vivid pink swirl was very pretty. From the side, I saw the cheesecake had some cookie crumbs at the bottom. 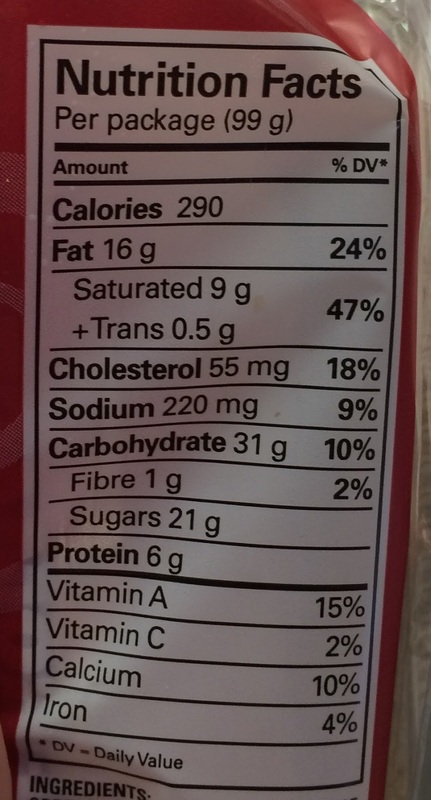 First I thought it's crushed cookies, but they're soft and fragile as if they're dried up sponge cakes. 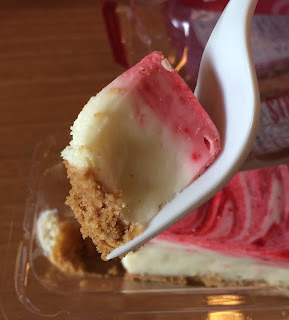 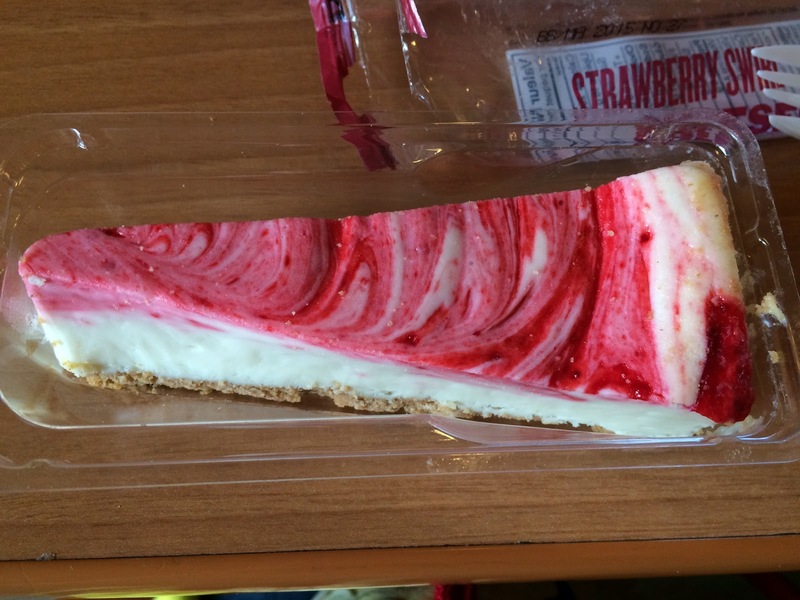 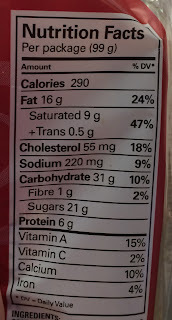 The cheesecake was creamy and thick with some sweet and sour strawberry flavor, which could be only artificial. 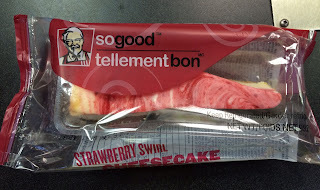 I enjoyed this cheap and small sweet a lot more than the disgusting the Chicken Junior I had and like the ad line, it's "so good/tellement bon."